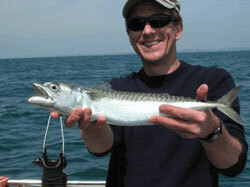 Flats Fishing Charter St. Petersburg, FL - A Fun-Filled Day on the Bay! One of the greatest parts about fishing in the St Petersburg area is the amount of bays and inlets. Theses calm and sheltered waters yield a wide variety of exciting fish, habitats, and environments in which to spend a day relaxing and fishing. Drifting around the beautiful areas of coastal Florida is the perfect way for both residents and tourists to relax and experience the tranquil fishing that St Petersburg has to offer. 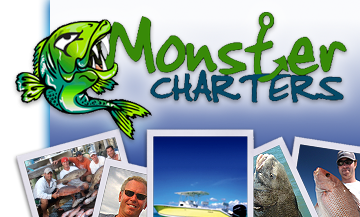 You can rest assured that when you choose to go on a flats fishing charter in St Petersburg from Monster Charters that everything is taken care of. We supply all the necessary tackle, bait, and licenses you need to catch the fish you want and have the time of your life. Just bring a cooler and be prepared to have fun!